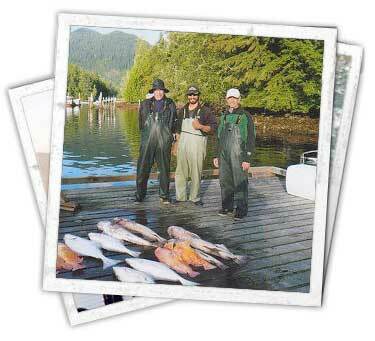 Through this website, we aim to boost the economic benefits fishing brings to Nuu-chah-nulth communities. All of the Vancouver Island BC sport fishing guides listed here are members of Nuu-chah-nulth Nations, whose traditional territory on the west coast of Vancouver Island stretches from Brookes Peninsula in the north to Point-No-Point in the south. Nuu-chah-nulth people have been a distinctive genetic group for over 40,000 years and have long relied on fishing for food, culture, and economy. Thanks to ancestral stories and traditions passed down throughout history, Nuu-chah-nulth fishing guides know the territory and the prime fishing spots. All of the guides listed here grew up in and around the water, with fishing lineages tracing back thousands of years. Many will also enrich your fishing charter with cultural stories, visits to historical sites, and glimpses of the wildlife that share their spectacular homes. In existence since 1979, The Nuu-chah-nulth Tribal Council (NTC) is a central governing body and service delivery organization for fourteen First Nations on the West Coast of Vancouver Island (WCVI). The NTC provides programs and services to approximately 8,000 registered members in areas like child welfare, economic development, education, health, and fisheries. In 2005, the NTC fisheries department became the primary administration body for Uu-a-thluk (meaning “taking care of”), an aquatic management organization enabling 15 Nuu-chah-nulth First Nations to work collaboratively with other governments and groups for the sustainable management and economic development of ocean resources in Nuu-chah-nulth Ha-houlthee (chiefly territories). Uu-a-thluk’s activities increase Nuu-chah-nulth access to, and management of, sea resources and build Nuu-chah-nulth capacity to find jobs and careers related to the ocean.